Safe drinking water is a vital human need, but one that millions of people around the world still lack access to. On this World Water Day, MSR celebrates those who are working tirelessly to help tackle this global crisis. From our NGO and university partners, to local village leaders, to our in-house team, and those of you who contributed to our Community Chlorine Maker Campaign—thank you for your generosity, efforts and never-ending passion to improve lives. Together, we’re creating the important technologies and doing the hard work that leads to true and lasting change. Learn more about what MSR partners are doing to contribute in stories below. The support of MSR’s research and development partners helps to advance the development of cutting-edge water treatment technologies. In addition, their field expertise ensures that MSR designs our products to meet the needs of specific communities. 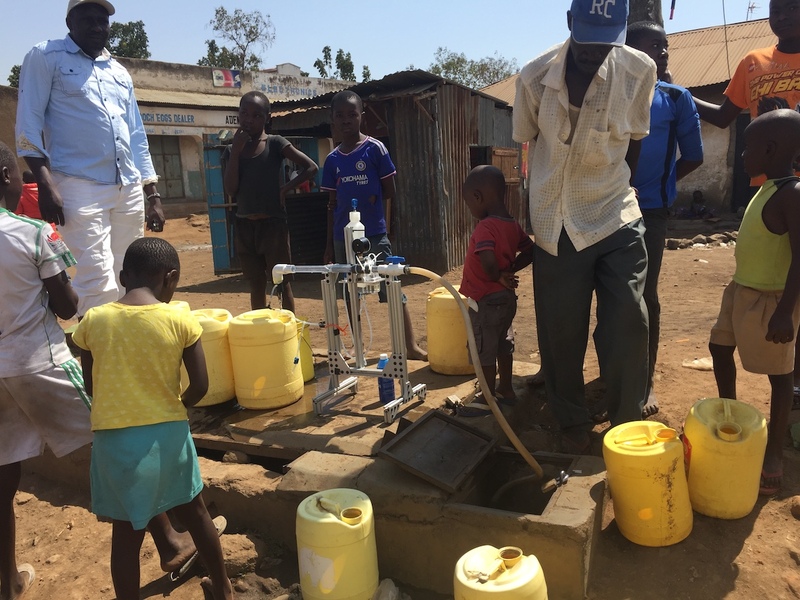 Currently, MSR, Stanford and PATH are working to develop a chlorine dosing device that would treat drinking water right at the tap—offering a new paradigm for water treatment in low-resource communities. Take this photo journey of the team’s recent trip in Kenya to test their prototype. Our field and implementation partners are integral to ensuring that MSR’s technologies reach the hands of the people who need them most. These organizations are deeply committed to increasing safe-water access, reducing waterborne diseases, and improving the lives of millions of people around the world. Here’s a look at the partners with whom MSR works most closely. Working behind the scenes, MSR’s world-class team of engineers, scientists and product developers has long been researching and developing advanced water treatment technologies for everyone from low-resource communities in developing nations, to victims of humanitarian and disaster crises. 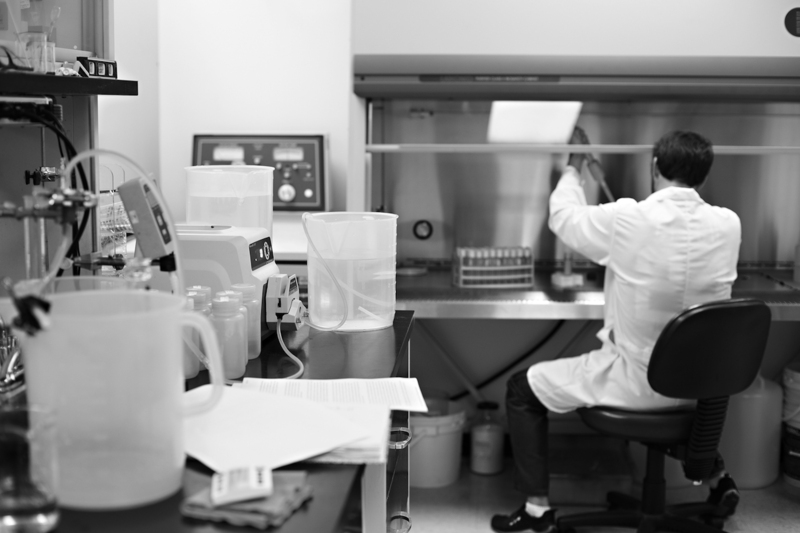 The team’s expertise in microbiology, filter technologies and water-quality challenges allows MSR stay at the forefront of innovation, creating solutions that are low-cost, field-proven and reliable. Here, you can meet some of these people behind MSR Global Health. Thank you. The success of our Community Chlorine Maker campaign was possible thanks to your generous contributions. With your support we were able to get 78,000 people the tools to create their own supplies of safe drinking water for years to come. Your contribution has directly impacted the lives of people in Kenya, Haiti and many other countries! From local water councils to WASH experts and self-appointed trainers, these are the people assuming the important role of educating their communities about waterborne diseases and the importance of drinking water treatment. Today, there is a growing acceptance of chlorine-based treatment solutions for disinfecting contaminated drinking water, a mindset that is largely due to the efforts of these leaders and trainers. 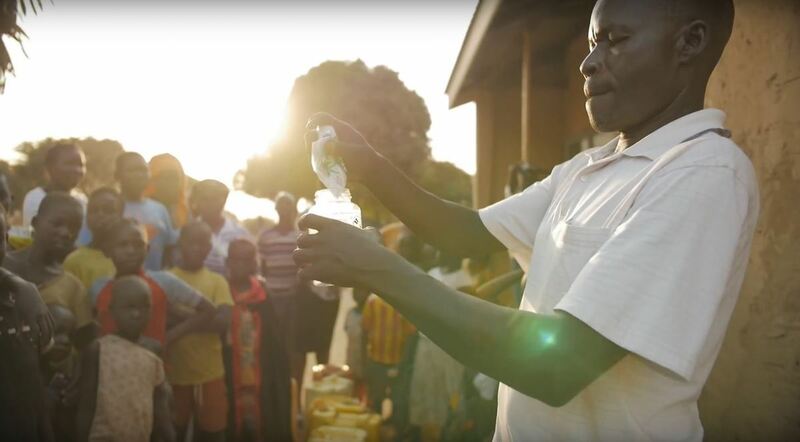 Watch how one trainer in Arua, Uganda teaches his community how to use MSR’s Community Chlorine Maker.